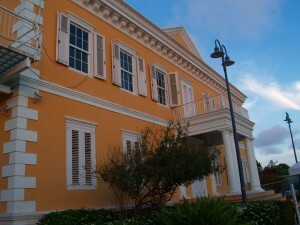 WILLEMSTAD – The Supreme Electoral Council (SEC) met yesterday to prepare for the upcoming parliamentary elections on April 28 this year. This is according to the President of the SEC, Raymond Römer. “We already received a copy of the National Decree signed by the Prime Minister and Governor Lucille George-Wout indicating that on Friday, April 28 there will be elections for a new Parliament,” said Römer. Römer said that they already started with the whole process of organizing an election. “We don’t have a lot of time but we can manage it.” He said that he hopes that today he will be able to provide more information about the entire process and all the important dates such as the pre-election round where parties that do not have representation in parliament should gather enough support to participate in the elections. Another important date is when the political parties should present their candidates’ list. Römer stressed that they can do this because there is already a script from past elections. All they need to do is follow it.